Round up the kids and spend the day outdoors exploring Lough Boora’s walking and cycling routes. Wander our paths together, as you discover the park’s sculptures and natural treasures. 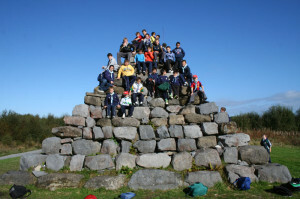 Our local Lough Boora experts provide guided tours to suit your school’s curriculum and your group’s ages and abilities. Tours run from April through to October and focus on the park’s species, natural amenities and range of activities. 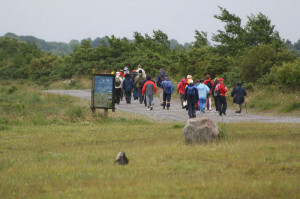 Organise an outing and book a guided tour for your club or special interest group at Lough Boora Discovery Park. 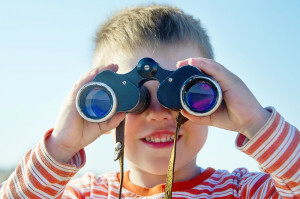 With 50km of trails, bike hire facilities, angling lakes, bird hides and a dedicated Sculpture Park, there is sure to be something to suit all age groups and interests! Travelling from overseas? Whether you’re passing through or planning a trip to visit County Offaly’s tourist attractions, incorporate a stopover at Lough Boora as part of your trip and encounter Ireland’s great outdoors. 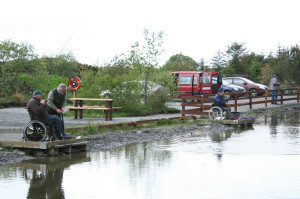 Lough Boora Discovery Park is a place for all ages and abilities to experience our diverse amenities, activities, natural flora and wildlife species in a safe and inclusive environment. From accessible bird hides to a dedicated angling lake at Loch an Dochais, the park is committed to providing access for all. Book your tour at Lough Boora Discovery Park! For more information and to enquire about a guided tour for your school, group or club, please contact our team at Lough Boora Discovery Park.